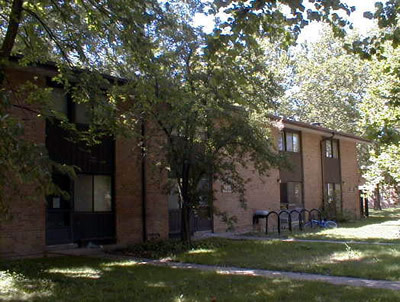 Constructed between 1955 and 1958, the Northwood Apartments I, II, and III are an approximately 419,000-gross-square-foot, 58-building complex on North Campus with 686 units housing student families. The existing stand-alone smoke detectors will be upgraded with a new central fire alarm system to meet current life safety standards. The project will also replace the hot water boilers to improve operating efficiency, reduce energy use, and provide increased reliability for the heating system.